API Pneumatic UK supplies two types of reliable micro pressure regulators as part of our airline equipment range. With multiple options to choose from, our team can help you to understand which product suits your application best. Our combined experience and in-depth technical knowledge ensure we can help point you in the right direction when it comes to sourcing micro regulators. API Pneumatic UK stocks the AC400 mini regulator, which comes with a relieving valve without a gauge as standard. Featuring a relieving regulator diaphragm, API Pneumatic mini pressure regulators eliminate the need to vent downstream when reducing pressure. Designed for use with compressed air, this micro regulator is used to reduce the out pressure and keep it constant. Available in two sizes, 1/8” and 1/4″, we have the ideal micro pressure regulator for you. 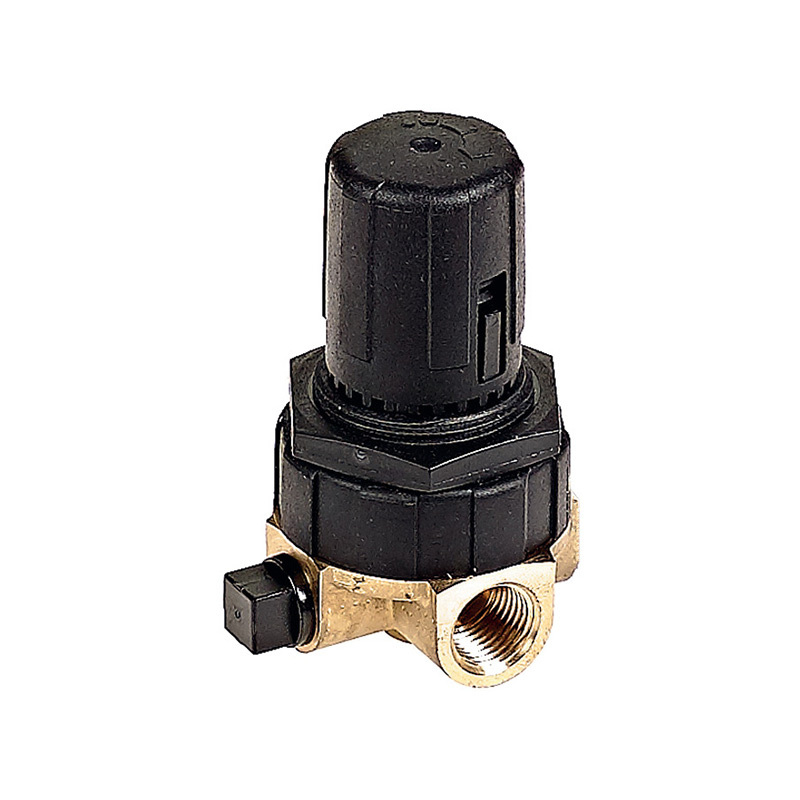 This specific mini pressure regulator is manufactured from acetal resin and functions to the highest standard in a temperature range of 0 to 60 °C. It has a maximum pressure range of 10 bar and a regulation range of 0.5 to 8 bar. Each individual size has its own flow rate: 1/8” at 300 l/min and 1/4” at 500 l/min. With a 500 l/min flow rate, our micro pressure regulators offer a high flow rate for such a compact size. API Pneumatic UK also stocks the AC700 micro pressure regulator. This API mini regulator is also available in 1/8” and 1/4″ to suit your application’s requirements. This micro pressure regulator has been designed with particularly compact dimensions for the ultimate space-saving solution. It also features a full flow gauge port and a snap action knob, which allows for extra control of the pressure setting when pushed in. Manufactured from acetal resin and zinc, this compact pressure regulator performs optimally in a temperature range of 0 to 60 °C. This series of API mini regulators has a higher maximum pressure range of 15 bar, a regulation range of 0.5 to 8.5 bar and a range of flow rates, depending on the size. The 1/8” micro regulator has a flow rate of 390 l/min whilst the 1/4” micro regulator has a flow rate of 420 l/mi. All products from API Pneumatic UK are available on a next day delivery basis. Please feel free to chat to one of our experts to ensure you make the right choice with your compact pressure regulator. For more information about our range of airline equipment, pressure gauges and micro regulators, contact API today. Call 01782 206 995 or email sales@apiuk.co.uk to speak to a member of our team.